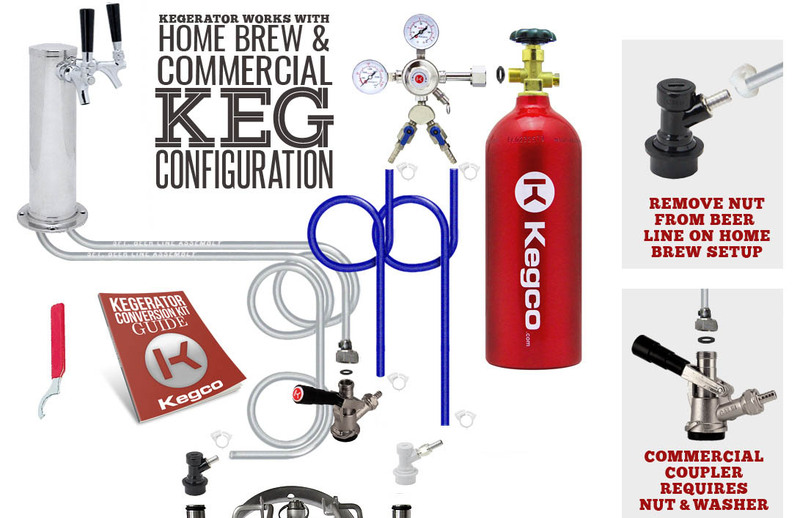 Introducing the K209B-2 Kegerator from Kegco. This high quality keg beer cooler comes with everything you need to dispense two store bought domestic kegs. Not only is it equipped to pour a cold, tasty glass of beer, but this kegerator can also easily be converted to a regular refrigerator with two adjustable storage shelves. The interior is big enough to easily accommodate a full size 1/2 barrel keg along with the dispense system or cases of your favorite cold beverages. It has a stainless steel interior floor plate which provides durability by displacing the weight of the keg evenly over the floor of the cabinet and allows you to slide the kegs in and out smoothly. It works perfect for those who want draft beer on tap at home all the time, or those who want the option of dispensing a keg periodically but could also use the extra storage space of an extra refrigerator. The Kegco K209B-2 Kegerator is designed for home use so it is quiet and energy efficient. The sleek matte black finish complements any decor and does not show fingerprints like a shiny finish might, meaning less cleaning of the outside of the kegerator is necessary. The easy roll casters make moving this unit from your bar to your patio a breeze and they lock to prevent the unit from rolling once you have it in position. Anyone who has dealt with the stickiness of dried beer will appreciate the removable recessed drip tray with a plastic grill that can easily be taken out and cleaned in the dishwasher. The attractive chrome safety rail helps to keep mugs and glasses from sliding off and installs with ease. You will need to get the CO2 tank filled locally. A quick search for gas or welding suppliers in your local yellow pages will help you find a place to get the tank filled. A full CO2 tank should last about 5 to 6 full size kegs. 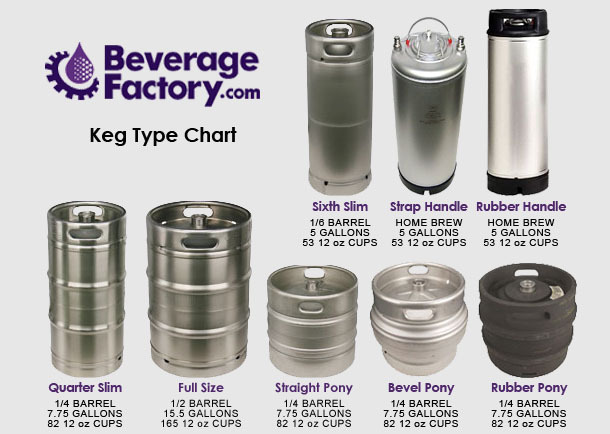 This kegerator can fit one Full Size or Pony Keg, up to two Quarter Slim Kegs, two 5 gallon commercial kegs along with one 5 gallon home brew keg or up to three 5 gallon home brew kegs.